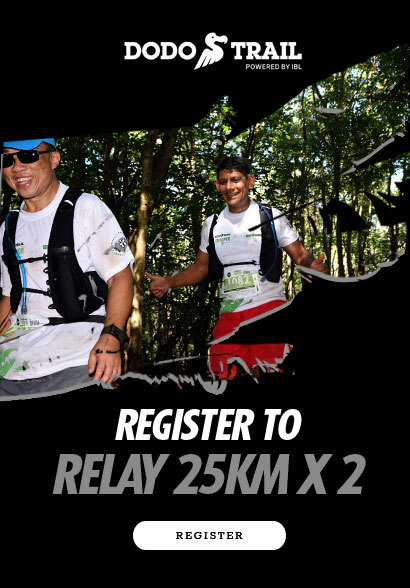 The Dodo Trail RELAY starts at the foot of Le Morne Brabant. The finish line is at the Riverland Sports Centre in Tamarin. From this vantage point, the entire west coast of the island is visible. Trailers will need to stay focused as they reach the Zepol track, which descends at an incline of over 30%. The trail then slopes back down to the Black River Gorges parking area.